The team at The Guildhall Practice, Kings Heath is dedicated to providing the highest possible care for all of our patients. Andrew Leask, Osteopath established the The Guildhall Practice in Kings Heath Birmingham, over twenty one years ago, and it has become highly regarded both locally and nationally. We also have practices in Birmingham City Centre, Five Ways Edgbaston and Sutton Coldfield. Our latest survey found that 87% of our existing patients found The Guildhall Osteopaths through word of mouth. 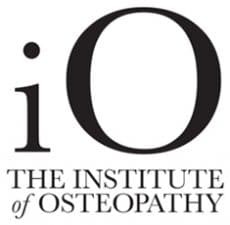 Read more about Osteopathy at the Guildhall Practice. Birmingham Osteopath – The Guildhall Practice, Kings Heath. For many years we have been proud of our association with Birmingham Royal Ballet, Birmingham Rep Theatre, CBSO, Birmingham Conservatoire and a variety of local dance and performance companies. The Guildhall Practice in Kings Heath has an approach based principally upon Osteopathic assessment and diagnosis, followed by a treatment plan which is tailored to your needs. We will always give you an explanation of the diagnosis, and the treatment approach which we feel is best suited to your individual needs. This way our patients feel comfortable and reassured knowing what response they should expect from their treatment. If necessary, we are able to make referrals to an Orthopaedic surgeon within the team or request MRI scans. The advantage of working together in a group practice is that each member of the Osteopathic team has particular skills and interests. This way we can match your needs to the best practitioner, making diagnoses and treatments as robust as possible. What to expect on your first Osteopatic appointment. We aim for excellence as a health care provider. Our patient-centred approach together with a welcoming and relaxing atmosphere will make you comfortable and cared for from your first visit. All of our Osteopaths are registered with the General Osteopathic Council. We can offer Osteopathic treatment through most private health plans, including PPP, Simply Health, BHSF. Each company has conditions according to your policy, and as such, you should contact them prior to making an appointment.